Y’all know how much I love discovering and introducing little and local businesses to you. I am super excited about this one because with Christmas and Summer just around the corner I know you will love it! 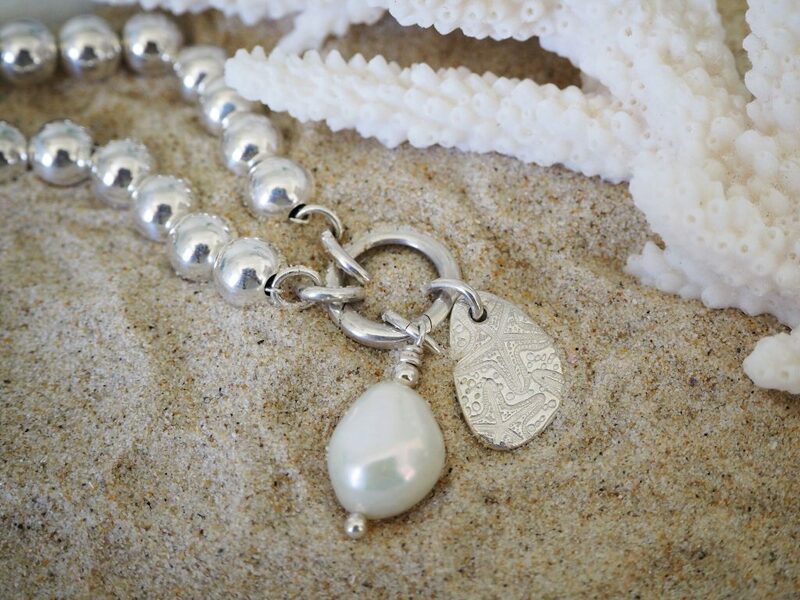 I found Coastalstyle Australia on Instagram recently and fell in love with their range of pure silver jewellery. 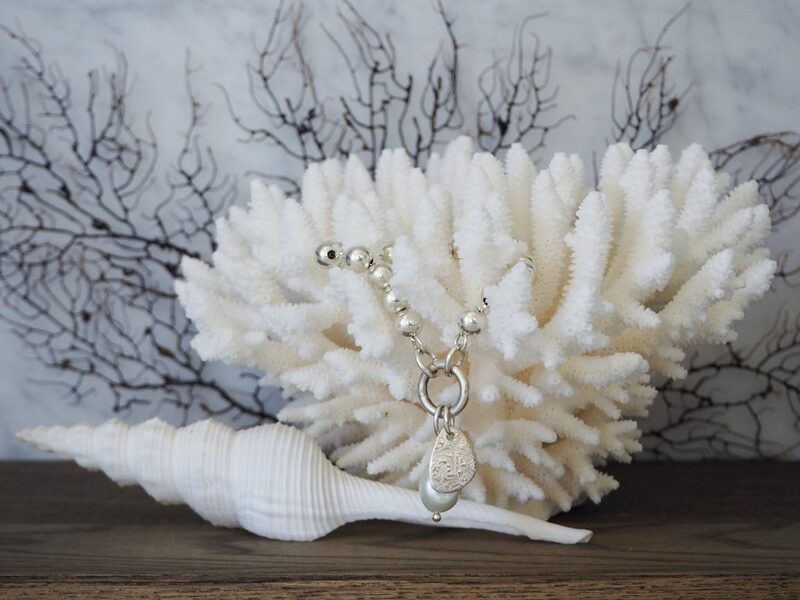 Their pieces evoke memories of days at the beach searching for the perfect shell, and the glistening sparkle from the ocean that always makes me feel so relaxed. I was lucky enough to be gifted a few pieces from the Coastalstyle range and have been diligently testing them out so I can report back to you all. I know, it’s a tough life, but somebody has to do it … right? I have been wearing the Silver Droplets bracelet pretty much permanently for a few weeks. It is my favourite piece from the range because it is so versatile. 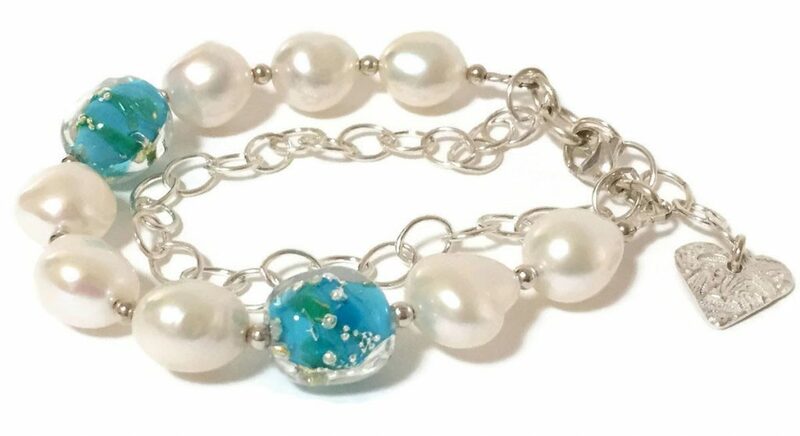 It has a special clasp that allows you to change out the charms to match your mood or outfit. I have a lustrous pearl drop and a silver charm (organic sea stars) that I think looks like a fingerprint from the ocean. I can’t even begin to tell you haw many comments I have had on this piece, It really is special. I have also been trying out a the convertible charm necklace which has the same clasp as the bracelet so I can swap my charms between the two pieces. What I also love is that you can choose your necklace length when you buy this piece, I don’t know how many times I’ve bought a necklace online and it’s not the right length for me. 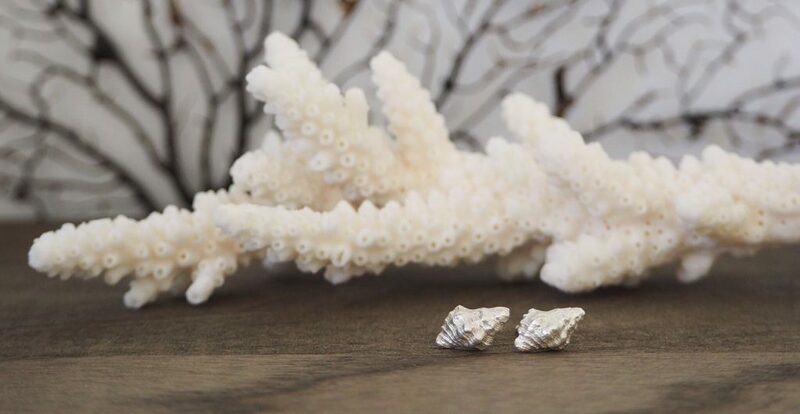 These precious little earrings are made from a real shell found on Scawfell Island in the Whitsundays on the Great Barrier Reef, a beautiful tiny island only accessible by the occasional sailboat passing through. They really are one of a kind, Pippa carefully collected the shell herself. They are handmade using pure silver and then hand sanded and polished. The entire Coastalstyle range is fresh, unique and beautiful. It is all meticulously handcrafted on the Sunshine Coast in Queensland, Australia. These pieces are made to treasure for a lifetime. Pippa can also work with you on a custom piece. I think it is so special to have something that nobody else does, that was handcrafted just for you! 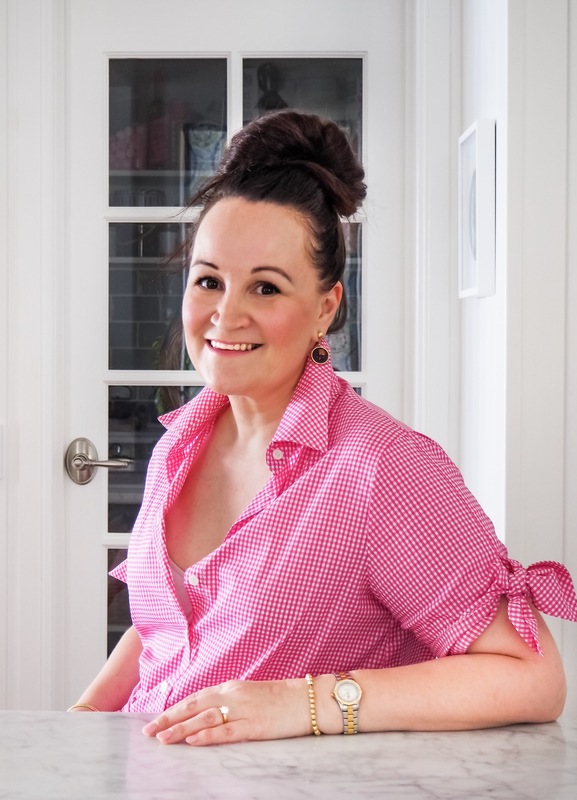 I am always interested in the back story about these fabulous little businesses so I grabbed half an hour with Pippa from Coastalstyle to learn a little bit about Coastalstyle. Born in Rhodesia, then raised in the UK, I longed to return to the southern hemisphere. I went to visit friends in South Africa and ended up settling there. A few years on I met my amazing husband. His job led us to travel extensively, living in different parts of the world, Australia being one of them. After 8 years in Sydney, we moved to the Sunshine Coast where we now live with our 2 beautiful Border Collies. We have family in the UK, Melbourne and Brisbane, but the lifestyle, sailing and weather have kept us happily here for the past 22 years! 2. Clearly you are a coastal gal at heart, when did you develop such a love of the ocean? We have always lived near water so always owned a boat of some sort, whether it was a canoe, a tinny, or a sail boat. 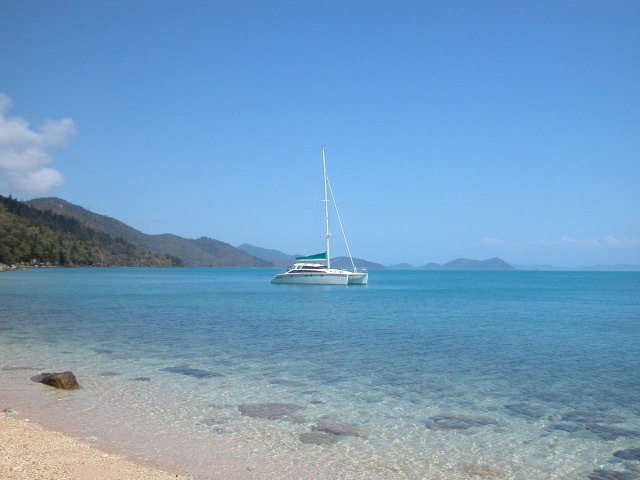 On the Sunshine Coast, we had 10 incredible years sailing and exploring the Great Barrier Reef in our Perry43 Catamaran. We would leave Mooloolaba and head up as far north as Lizard Island, visiting different reefs, diving and exploring. That’s when I really fell in love with the ocean. The azure expanses of crystal clear water, deserted islands and sand quays, inhabited by the most beautiful colourful sea life, not to mention the amazing friends we made along the way, gave us memories to last a lifetime. 3.What made you decide to bring your love of the ocean into the creative outlet of jewellery design? I wanted to capture my love of the ocean to remind me of the places we loved to sail. So many of us have treasured memories of the Ocean and fun holidays in the sun. I first started with glass designs for colour, and loved creating little underwater scenes in large focal beads. Miniature clown fish, crabs and shells with little jelly fish being my biggest challenge! They were treasured reminders of our cruising life and also became my best sellers. My latest silver shell collections are from different islands that we visited and beautiful deserted beaches that we explored. I carried moulding putty with me wherever we went! 4.Do you remember the first piece you made? Yes! My first piece ever was a lampwork bead which looked more like a weapon than a piece of jewellery.That was 8 years ago, I still have it and am so very proud of it! 5. I understand you custom make pieces, tell us about this process? From Start to finish, I create each piece with love and attention to every detail. No two pieces are ever the same, not even the designs on a pair of earrings. I like to personalise it for each and every one of my customers. I work in both fine, Argentium and sterling silver, with little gold accents using different metalsmithing techniques. 6.Do you have a favourite piece? Or is that like asking a mother about her favourite child? Yes, that’s a hard one! 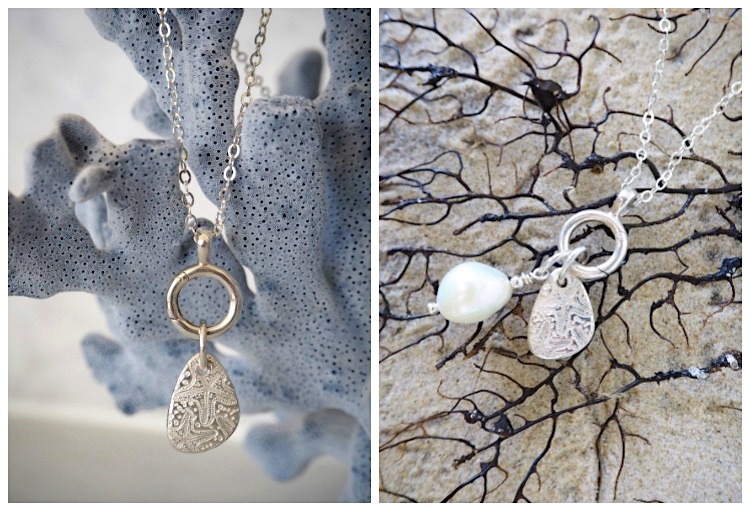 I love pieces that evoke a memory or story, something that can be personalised. I love the fine silver charms, and have fun making custom shapes and patterns, personalising them or hiding a secret message inside a ring or cuff bracelet. Anything to make it yours and personal. 7.How do you feel when you see others wearing your beautiful designs? Happy and proud and flattered! I remember when I was picking up my niece from the airport, and was sure that a lady just walked past me wearing Coastalstyle Australia earrings. I tried to peek a few times just to make sure, and introduced myself before stalking charges were laid! There is nothing like seeing a special smile on a customer’s face, when you have not only created something that has come from your heart, but when you have also touched theirs. 8. What is next for Coastalstyle? I will be adding new styles next year, using new techniques to create different designs. Social media has been a wonderful way to make new connections, and I am really looking forward to also showcasing the collection in person at different venues. Or we might just arrange a “Shells and Champagne” get to-gether on the deck! I just want to make beautiful pieces that people love and that mean something to them. Oh, and buy more tools! 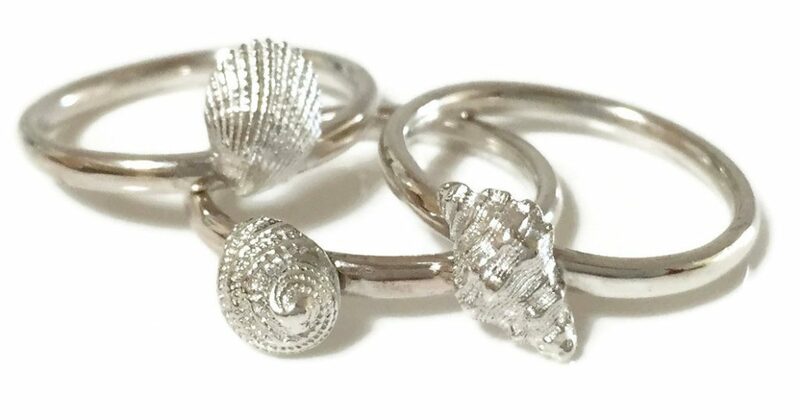 Coastalstyle pieces come beautifully gift boxed and with Christmas coming I think these pieces are just the most gorgeous gift for girls of all ages, my teenage daughters (and wannabe mermaids) love them as much as I do! My girls have the Mini Shells stacking rings on their Christmas list, and I’m dreaming up a custom made round charm with the Birdsnest Coral design and my initials on the back. You can shop with Coastalstyle Australia here. You can find Coastalstyle on Instagram here and Facebook here. Pippa I love my puppy paw print are you still doing those ? Love love your Jewelry ? Hi Toni! So lovely to hear from you again. I will make contact re the puppy paws!